Sumthing Else Music Works, the award-winning record label dedicated to releasing video game soundtracks, today announced that Jesper Kyd's original soundtrack for the first person melee/shooter sequel Warhammer: Vermintide 2, based on Games Workshop's popular Warhammer Fantasy Battles world, is now available digitally from Amazon, iTunes, Sumthing.com, and other music services. Out now on PC, Vermintide 2 introduces the dark, bloody and twisted Norse tribe 'Chaos' as an enemy faction. 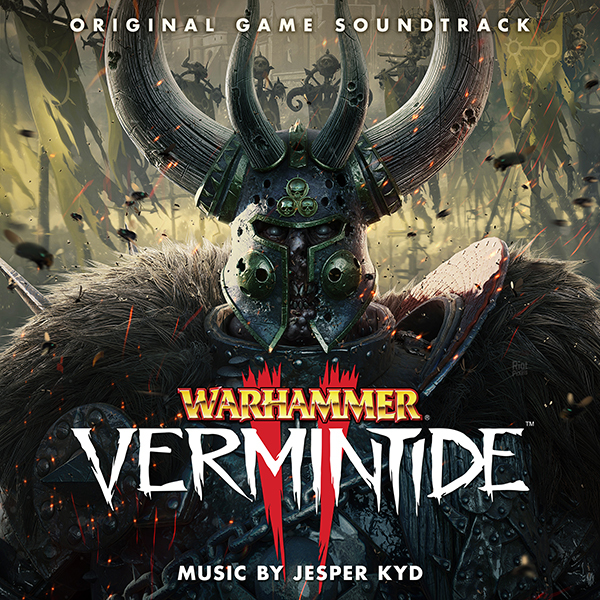 Inspired by Norse mythology, BAFTA award-winning Danish composer Jesper Kyd's original score for Vermintide 2 explores ancient tribal music and dark magic fantasy elements as well as evolving the raw acoustic soundscape he developed for the first game. Kyd channels his Scandinavian roots, blending Viking and Norse-inspired vocals, ritualistic percussion styles and new custom-made instruments built specifically for Vermintide 2, to create another unique soundtrack experience. Developed by independent games studio Fatshark in Sweden, Vermintide 2 is a visually stunning and groundbreaking melee action game pushing the boundaries of the first person co-op genre. For more information on Warhammer: Vermintide 2 visit www.vermintide.com.